A curvaceous, weaving pattern in crisp white pops against this pillow's bold banana background, bringing warmth, style and undeniable appeal wherever it goes. Add this pillow to your bed, sofa or favourite chair for an instant remodel of classic and contemporary elegance. 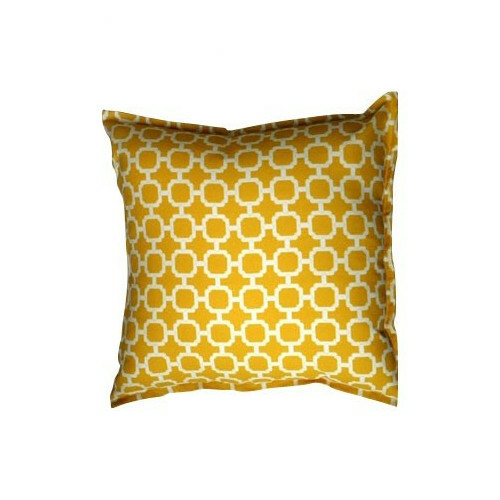 This cushion is made from indoor/outdoor fabric that is stain and water resistant, very family friendly and perfect for outdoor settings and indoors in sunny rooms. It is fade resistant up to 500 hours of direct sun exposure. 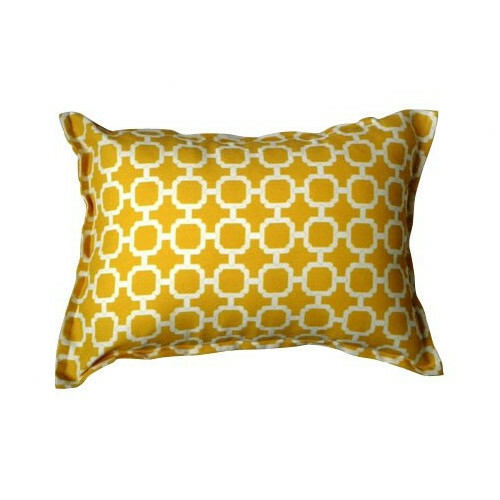 When you buy a Banana Hollywood Accent Pillow online from Temple & Webster in Australia, we make it as easy as possible for you to find out when your product will be delivered to your home in Melbourne, Sydney or any major city. You can check on a delivery estimate for the Bungalow Living Part #: Banana Hollywood here. If you have any questions about your purchase or any other Outdoor Cushions product for sale our customer service representatives are available to help.Whether you just want to buy a Banana Hollywood Accent Pillow or shop for your entire home, Temple & Webster has a zillion things home.